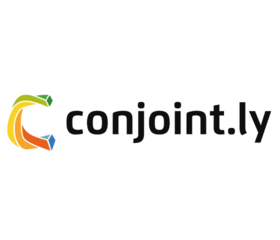 Conjoint.ly is an online service for pricing and product research using state-of-the-art discrete choice methods (conjoint analysis), Van Westendorp, Gabor-Granger, and other techniques. The Gabor-Granger pricing method determines the price elasticity of products and services. Developed by two economists, Andre Gabor and Clive Granger, it has been used since the 1960s. It is particularly useful when: You want to get a directionally correct estimate for willingness to pay for the product; You want to find revenue-optimizing price points; All the other components (or attributes) of the product or service are fixed and cannot be changed; You only want to look at your brand or SKU without considering competition. With Conjoint.ly, you can upload your own experimental design from the JMP Discrete Choice designer. Conjoint.ly will handle data collection and, if you require, fielding to panel respondents. Once data have been collected, you will be able to download a .csv output for analysis in JMP. The Price Sensitivity Meter helps determine psychologically acceptable range of prices for a single product or service. It is a frequently used pricing research method proposed by the economist Peter van Westendorp in the 1970s. It is particularly useful when: You want to assess what price range the market considers to be fair for your product; Your product is the only such product on the market or the number of competitive offerings is very large; You need quick, directionally correct results.